I’m pretty rubbish when it comes to having breakfast. My appetite doesn’t usually kick in until mid to late afternoon and unless someone is there to remind me I usually get distracted by other things before I’ve even had a sip of water in the morning. If it was just me I wouldn’t really mind but seen as I’m eating for Rabbit too I started to feel really guilty, especially when a few people mentioned that I looked like I’d lost weight (non intentional of course but still). 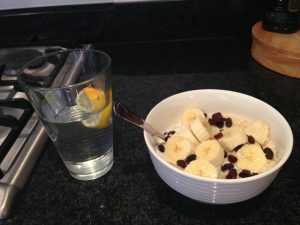 I’ve had a sudden love for banana’s, so here are a couple of yummy breakfasts I’ve been having that are quick, filling and full of goodness! This could probably be called something better like ‘banana pancake’ or ‘scrambled banana’ but for me and my friend Laura in Dubai, it was always simple, ‘egg banana’. 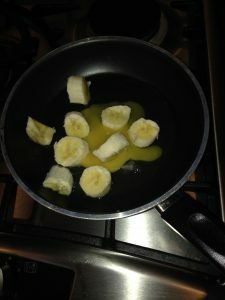 Quite simply, it’s one egg and one banana, mushed and mixed up in a bowl, and popped in the frying pan! Of course you can add other things like raisins, and cinnamon is also great for a bit of flavour but on it’s own it’s just as yummy! There’s no faffing about with measuring flour and milk and whatever other ingredients, this is just a simple pancakey-scrambled alternative full of goodness. 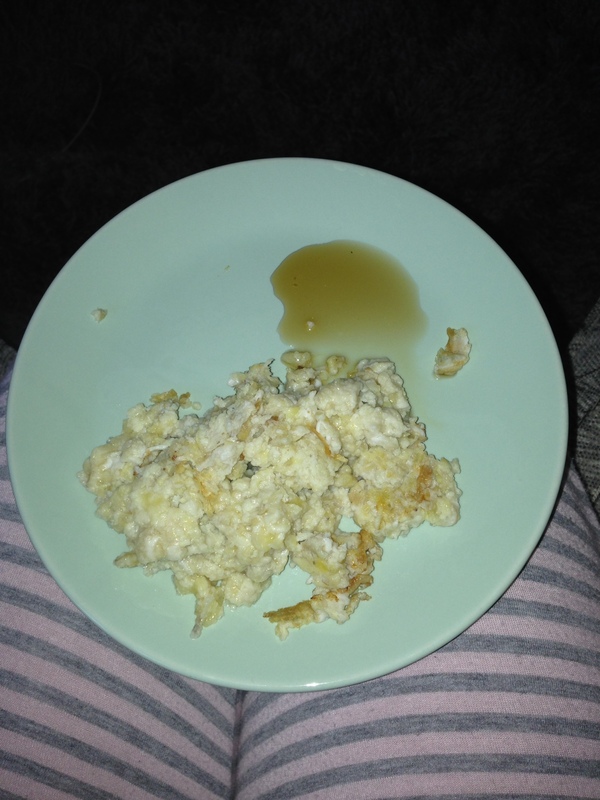 Mine starts as a pancake shape but I end up mixing it about in the pan and it turns out to be more a scrambled. Ah well, it’s not the presentation that counts it’s the taste right? I had mine with a dollop of maple syrup this morning as I had a bit of a sweet tooth! Yum! This is an obvious one, but always a winner. Porridge oats warmed up with milk and a sprinkle of cinnamon. Then add banana and dried fruit on top, I went with just raisins today. I teamed it with a refreshing drink of hot water with a slice of lemon to cleanse my system. Since adding banana to my breakfast, well since having breakfast altogether I’ve been full of energy and a lot more focused during the day. Rabbit’s been a lot more wriggly too as he’s normally a first thing in the morning and last thing at night kind of mover! I will never miss a brekky again! 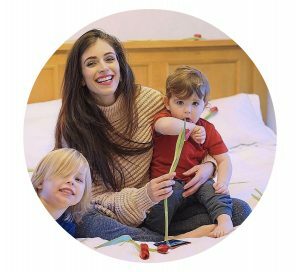 I like your website content entirely much,can I on my website reprint your article?